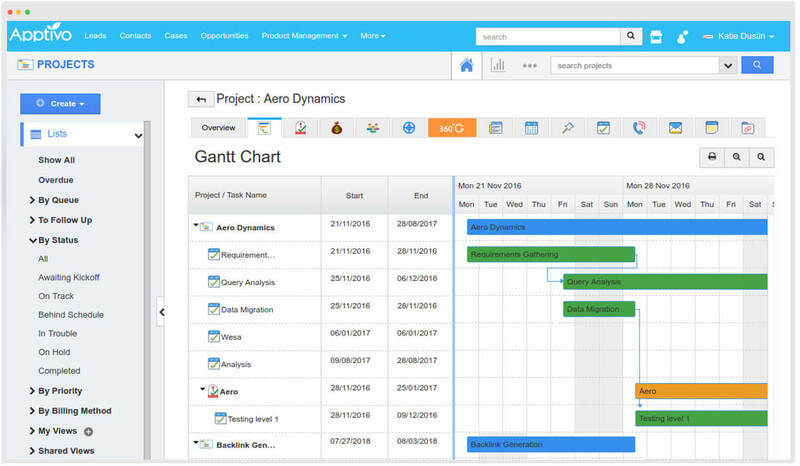 A powerful project management software that streamlines and collaborates teamwork and efficiency. 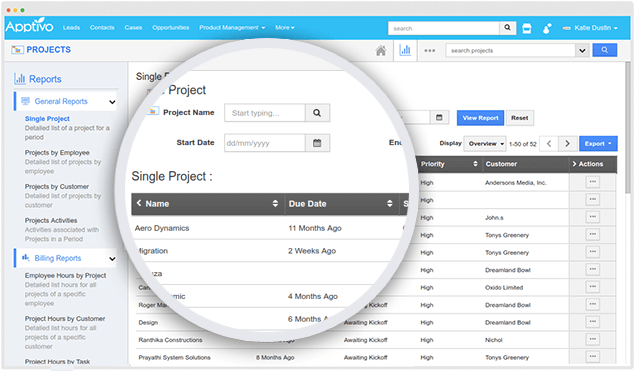 Apptivo Project Management application has everything you need to track a project from scratch to finish. Easily create, share, and collaborate project activities and resources seamlessly. Plan and communicate with teams cost effectively, fix the rate for projects, and can disclose your documents, and exchange views among the team. 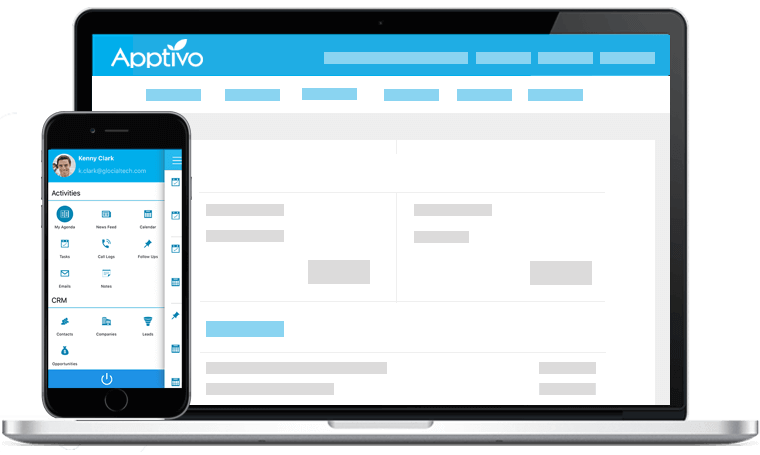 Apptivo helps your team to seamlessly manage projects through the entire life cycle. Create projects newly from scratch and also from other existing projects. A beautiful interactive planning and scheduling tool, that shows the different tasks and milestones of a project, and how they relate to each other. You can have a view of the work in progress, at a glance and adjust the due dates by an easy drag & drop. 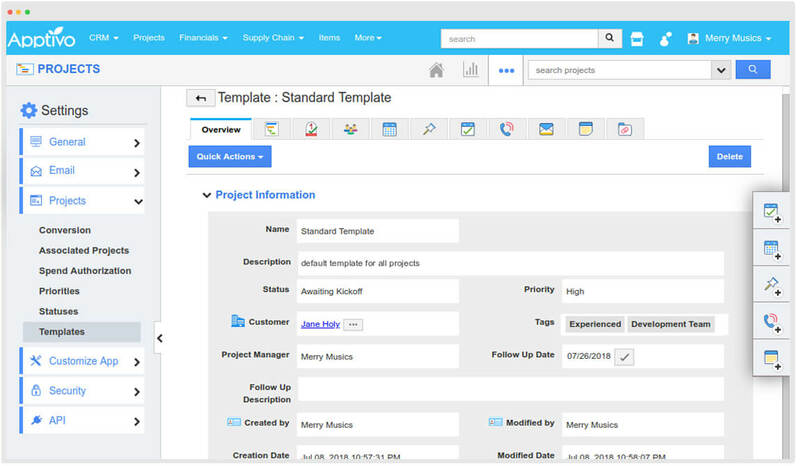 Offers an unlimited number of reusable templates to quickly launch new projects with ease. 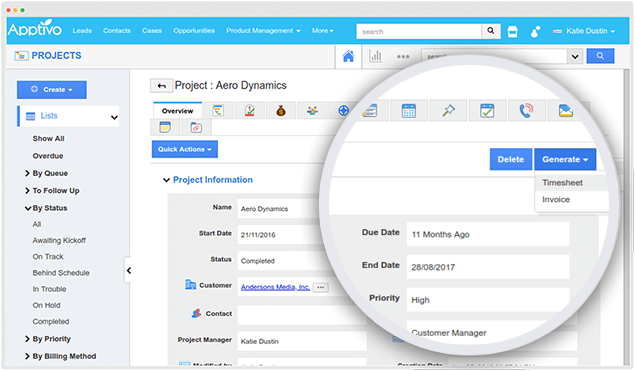 You can have predefined milestones in the project templates, which will be added into the project, when the template is selected. Offers real time task management, by recording time spent on projects and tasks. With integrated time management, you can record the time, generate timesheets, submit and get it approved instantly. 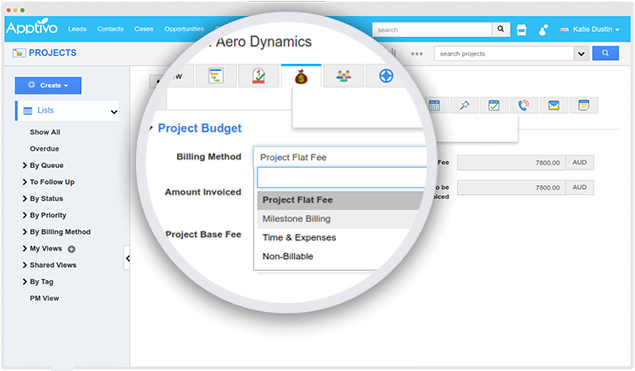 Provides a set of various billing methods - a flat rate or based on the hours you have spent or the milestones. 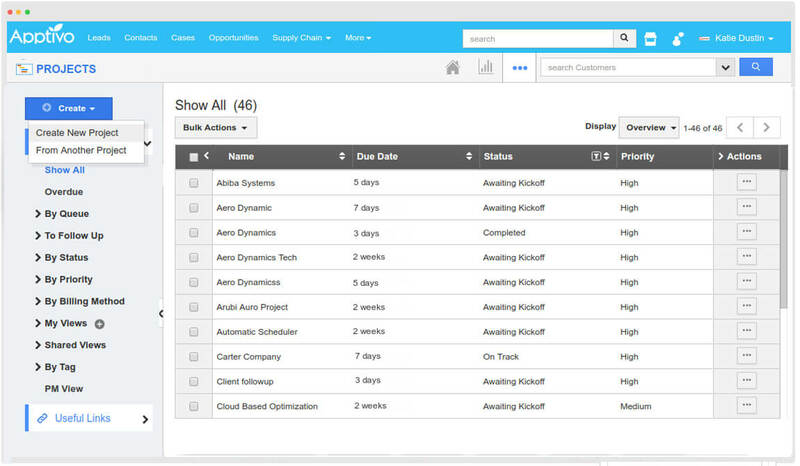 Generate & email an invoice in just a few clicks. Easy one-click reports which you can export instantly. Various reports can be generated and can be exported externally. You can have real time access to all your projects, and monitor time, budget etc.. 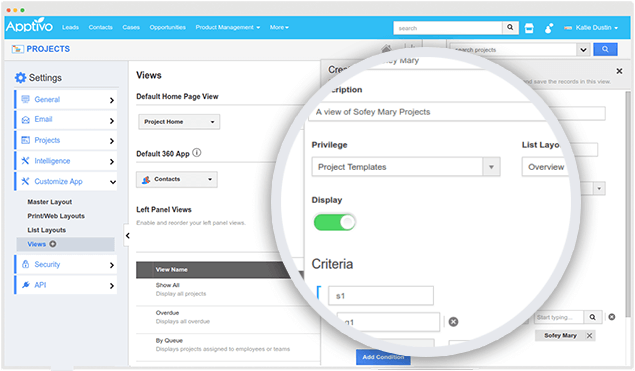 Helps you gain visibility by having an organized view of your projects. Besides the standard views, you can also create your own views.